Just as software had taken over the world, artificial intelligence is taking over software. AI techniques are creeping in everywhere, even into the build systems. Also, increasingly engineers are learning machine learning as undergrads -- the days of lab-coated AI is coming to an end. In addition, in the past year or so, hardly a day goes by without new machine learning techniques and frameworks emerging. Since founding 15 years ago, LinkedIn has embraced AI -- from career recommendations to curating the feed. Each AI product was built by separate teams. Some of them are extremely performance sensitive (such as the Feed or Job Recommendations) with bespoke architectures. Onboarding new engineers, new features, and new modeling technologies. It is almost impossible for non-AI engineers to contribute. In this talk, I present "Productive Machine Learning" -- doubling modeler efficiency while democratizing AI across LinkedIn engineering. Our odyssey impacts thousands of engineers, hundreds of AI services, and several core learning technologies including tree ensembles, generalized additive mixture ensembles, and deep learning. I focus on four layers: Exploring and Authoring, Training, Deploying, and Running -- and the common threads that make it scale: Health Assessment and our Feature Marketplace. Key takeaway: Too often data science teams focus on just the machine learning and forget about the infrastructure and practices needed to actually serve AI at scale. Joel is leading the Machine Inference Infrastructure team at LinkedIn. His team's mission is providing easy, scalable, and operable machine inference to connect the world's professionals to the resources they need to succeed. He is also co-lead for LinkedIn's Productive Machine Learning initiative. Prior to LinkedIn, he was an assistant professor in the Computer Science Department at the Naval Postgraduate School and also at the Air Force Institute of Technology. In addition to his academic experience, Joel was an Air Force communications officer with over twenty years of experience, serving as the Deputy Commander for the 540 member 374th Communications Squadron at Yokota AB, Japan providing telecommunications services to the Pacific theater and as the Director of Communications, Iraq Assistance Group a providing service to a flag-officer staff and over 200 transition teams embedded in the Iraqi Army. His first job in the Air Force was working with Kalman filters for cruise missile flight simulators and mission planners. Before the Air Force, he was an Eagle Scout, a hospital janitor, a carnival operator, and a ditch digger. Joel earned his PhD in Computer Science from Brown University in 2005. His research areas include digital forensics, data mining, and machine learning. 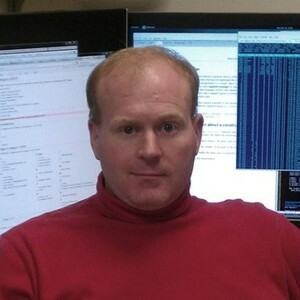 He has also published in web search, computational biology, and temporal modeling. 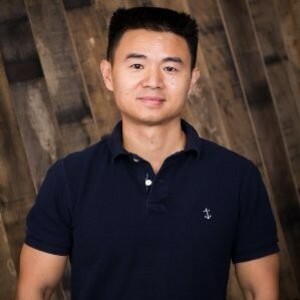 Dr. Bo Long is leading LinkedIn's machine learning foundation team. His team is creating cutting edge machine learning technology to cater to all information and career needs of every single member of the global workforce. He also co-founded Particle Media and worked at Yahoo! Labs, IBM Watson and Google Lab. He holds a dozen of innovations and has published peer-reviewed books and peer-reviewed papers in top conferences and journals including ICML, KDD, ICDM, AAAI, SDM, CIKM, and KAIS. He has served as reviewers, workshops co-organizers, conference organizer committee members, and area chairs for multiple conferences, including KDD, NIPS, SIGIR, ICML, SDM, CIKM, JSM etc.